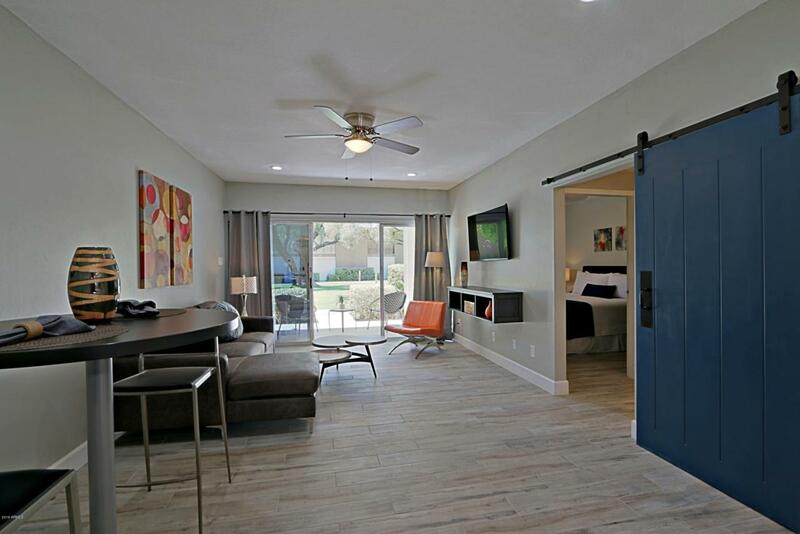 Fully remodeled condo located perfectly between Arcadia & Old Town Scottsdale. Condo has recently been fully remodeled. Enjoy the open floor plan with wood style ceramic tile that runs throughout the home and onto the patio. The patio walks out to the lush greenbelt and 2 community pools. For added privacy you can close the automatic roll top over the patio. Quartz counter tops compliment white shaker cabinets in the kitchen while the bathroom matches the modern style with an over-sized bathtub to relax in. Furniture may also be included in the sale.